At last night’s meeting, we had the chance to speak with Mike Grosso, the Parks Maintenance Supervisor. 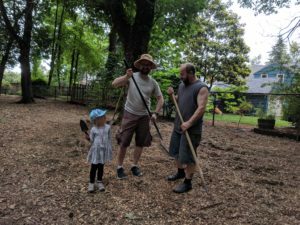 In addition to our big, exciting projects such as the NatureSpace and the replacement of equipment in the toddler play area, Friends of Wilshire Park also want to do a series of small, simple service projects that can quickly fix problems. This will provide members of the community with the chance to put their gloves on, gather together, and do some good. Mike told us that while wood chips were recently delivered and spread at various areas around the park, many of the piles were still too high and some of the wood chips are still in large, hard chunks that need to be broken apart to make them safe to walk and run on. Mike currently doesn’t have any staff hours to allocate to smoothing out the bark chips. 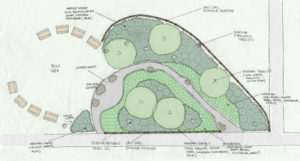 The first Friends of Wilshire Parks service project will happen this Saturday from 9 to 11 AM. Volunteers should wear good gardening gloves and protection from whatever weather Portland decides to offer up that day. Participants should also bring water. All ages are welcome, but parents will need to supervise their own young children. 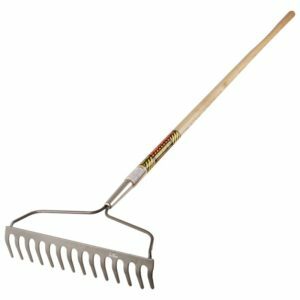 Do not bring a soft-tined rake that you would use for leaves, as the wood chips are too heavy and will damage your rake. If you don’t have a rake, come anyway and wear some heavy gloves as many of the chunks of wood chips can be broken up by hand. 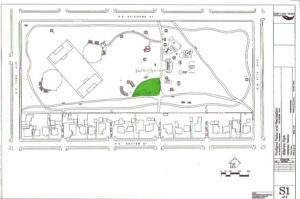 We will meet at the northeast corner of the park, right by the sign that says Wilshire Park. Volunteers who wish to log hours for community service credit can receive a signed form from a Friends of Wilshire Park board member. If you wish to participate, please e-mail [email protected] to let us know you’re coming. See you there!